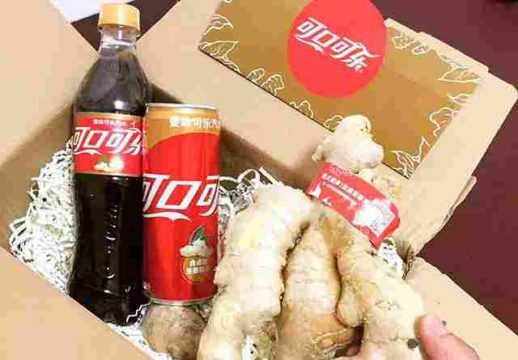 Ginger-flavored Coca-Cola (姜味可口可乐) has recently hit the Chinese market, where the combination of ginger with cola is a well-loved one; boiled Coca-Cola with ginger is often used as a remedy against a cold. 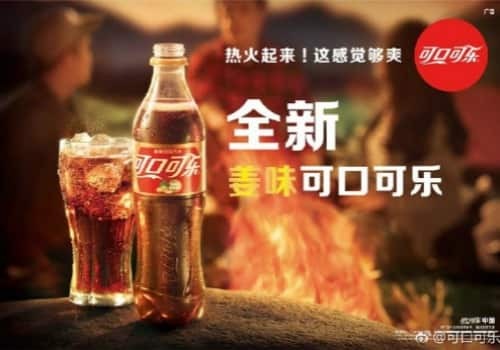 With its “bring out the heat” tagline, Coca-Cola is emphasizing the Chinese yin-yang philosophy in the marketing of Ginger Cola in the PRC. After being introduced in New Zealand, Australia and Japan in 2016, ginger-flavored Coca-Cola (姜味可口可乐) has now hit the Chinese market since March 2017. 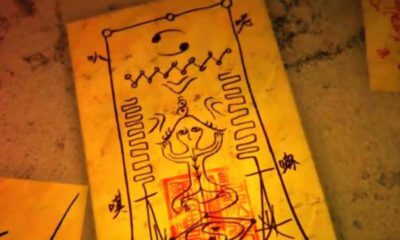 By marketing Ginger Cola as a ‘warming’ drink, Coca-Cola is placing emphasis on the Chinese philosophy of yin (阴) and yang (阳), a concept used to describe how opposite forces are actually complementary to each other and need to be balanced. In Chinese cuisine, many foods can be categorized in either being ‘yin’ (‘cool’) or ‘yang’ (‘warm’), regardless of their physical temperature. Typical yang foods, for example, are garlic, pepper, red meat, and ginger. Products such as cucumber, tomato, watermelon, crabs, and clam are considered to be predominantly yin. It is traditionally believed that the body’s yin and yang can be balanced through the warming and cooling characteristics of food. 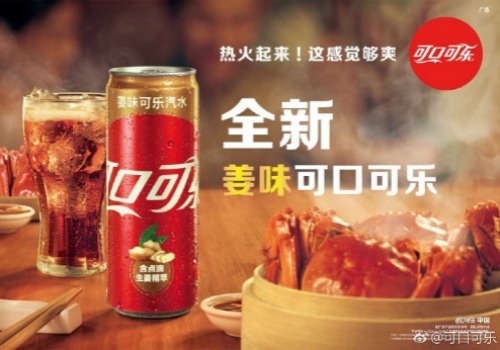 In promoting Ginger Cola (‘warm’) as the best drink to have with crab (‘cool’), Coca-Cola China is turning it into the perfect yang drink. 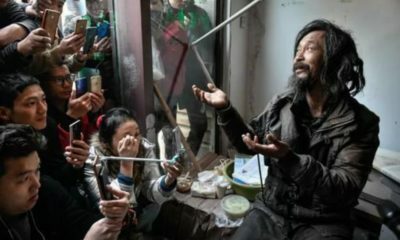 The use of Coca-Cola with ginger as a ‘yang drink’ is already popular in China, where boiling coke with ginger is a common remedy to alleviate the symptoms of a cold. 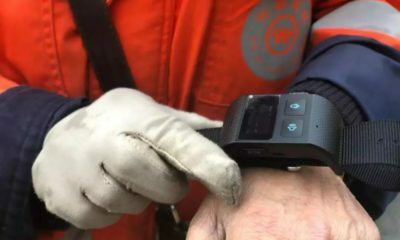 “I boil Cola with ginger when I have a cold, and feel nice and warm after drinking it,” one Weibo commenter says. 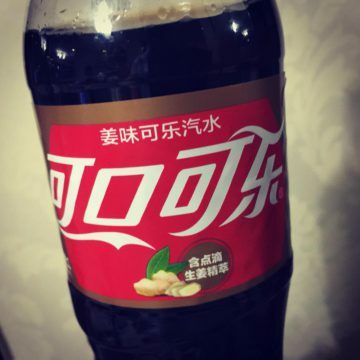 On Chinese social media, many people are happy with the introduction of Ginger coke. 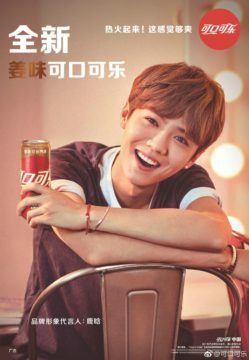 The launch of the new flavor also especially drew attention because popular Chinese actor and singer Luhan (鹿晗) is the face of the Chinese Ginger Coca-Cola. But not everyone agrees on the flavor of Ginger Coca-Cola, which basically tastes like a mix of regular coke and ginger beer. 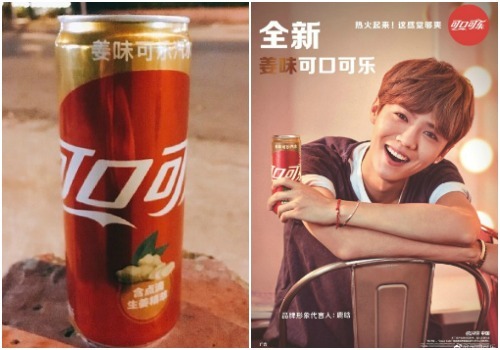 “I’ve tasted it and it’s actually not much different from regular coke at all,” one disappointed person said on Weibo. “Its taste is very similar to normal cola, but it does leave a distinct ginger taste in your mouth after drinking,” another netizen remarked. 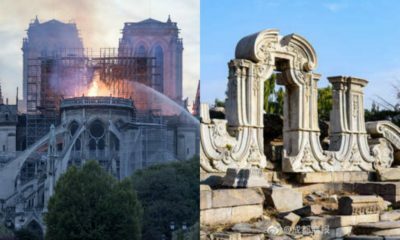 ©2017 Whatsonweibo. All rights reserved. 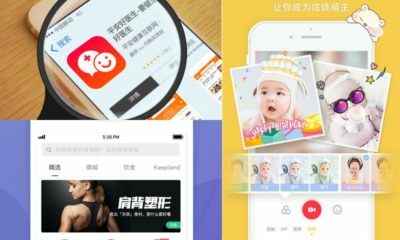 Do not reproduce our content without permission – you can contact us at info@whatsonweibo.com. Are hotpot and cola the key to longevity? 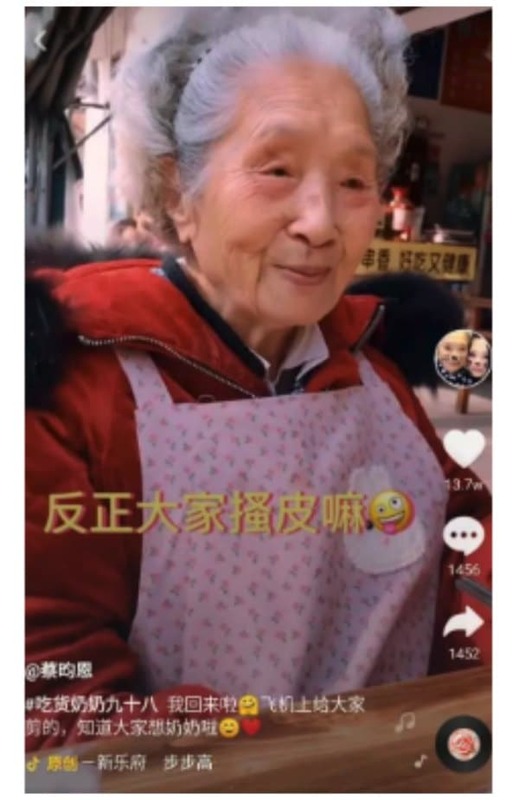 This week, a 98-year-old Chengdu resident has become an online hit on Chinese social media, after videos of her and her granddaughter went viral. 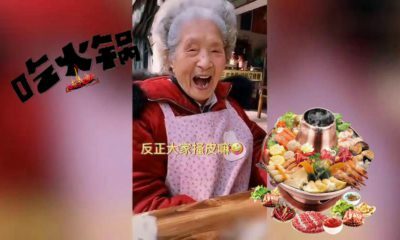 The popular grandmother loves to drink Coca Cola, eat hamburgers, and is crazy about hotpot – but only if it’s really spicy. 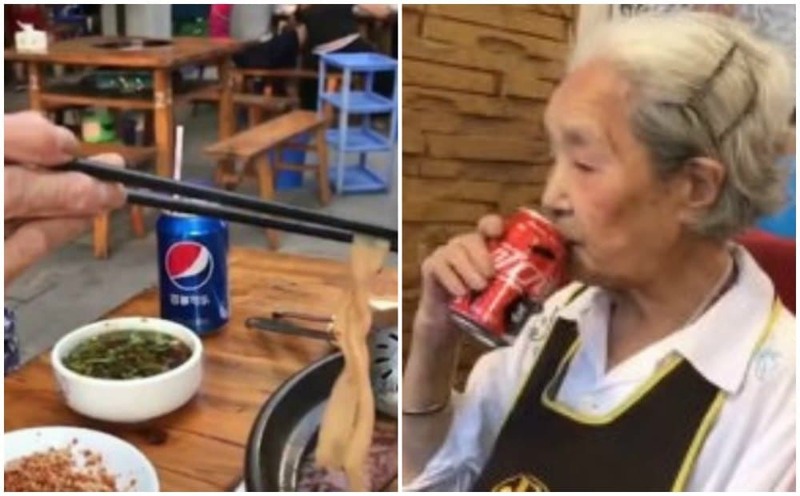 The 98-year-old became an overnight hit because of the videos posted by granddaughter Cai on China’s popular video app Douyin (TikTok), that show the grandmother’s great appetite for spicy food, alcohol, and sweet sodas. When the granddaughter tries to persuade her grandma to drink less alcohol (“You’ve already had five!”) she’ll pour herself another cup; while dozing off, she’ll still talk about her favorite hotpot with beef tripe; when eating her hamburgers, she’ll eat so fast that her dentures fall out – all moments that were caught on video by Cai. The woman, who has been nicknamed “grandma foodie” (吃货奶奶), has been starring in her granddaughter’s Douyin videos since August of last year. 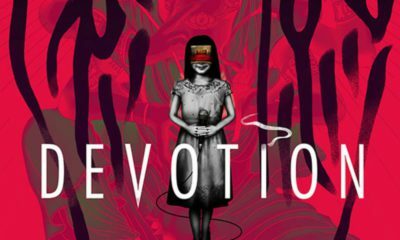 Since then, she has accumulated a social media following of some 410K fans and has now risen to nationwide fame, with dozens of Chinese news outlets writing about her. 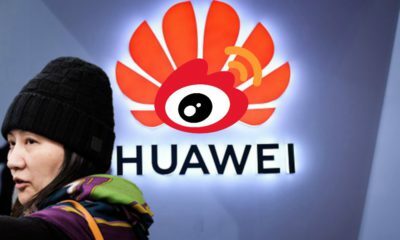 On March 4, she became the number one trending topic on Weibo. On social media, most netizens praise the grandma for her positive attitude. “I hope I can do all the things I love, too, when I reach her age,” some say: “Eat whatever you want, whenever you want, and drink whatever you like, whenever you like.” “Eating good food is the key to happiness,” others write. 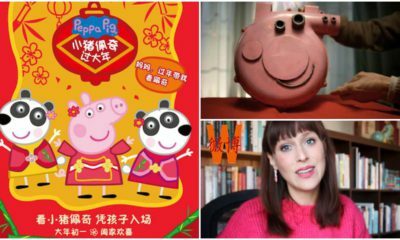 Want to know more about hotpot, all the reasons to love it, and how to make it at home? Visit our sister site Hotpotambassador.com here. 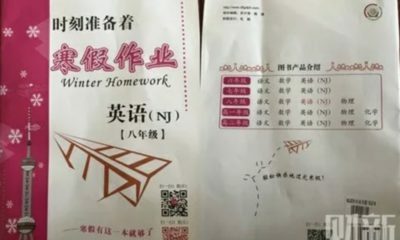 Awarding excellent students with raw meat or even fresh fish seems to be a new trend in Chinese schools. School in Liuzhou, Guangxi, image via the Paper. 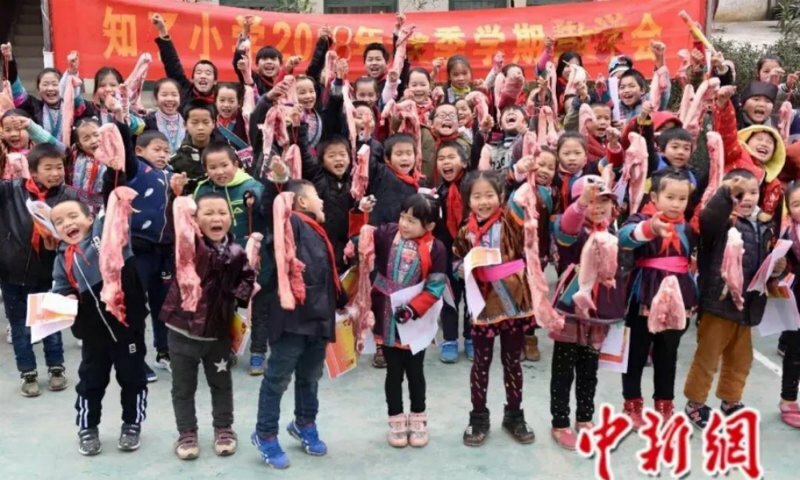 A number of schools in China have recently introduced a new gift for outstanding students at the end of term ceremony: no books, no pens, but a chunk of meat that can be shared with the entire family. 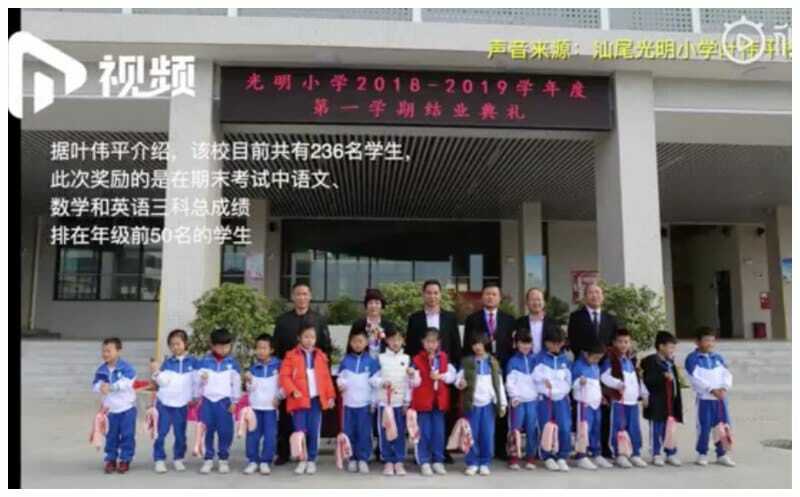 A remarkable award ceremony at a middle school in Fuyang, Anhui province, has attracted the attention of Chinese netizens this week for the meat gifts the school offered to its outstanding students. The award ceremony was held on January 26 at the Anhui Fuyang No. 1 Middle School. 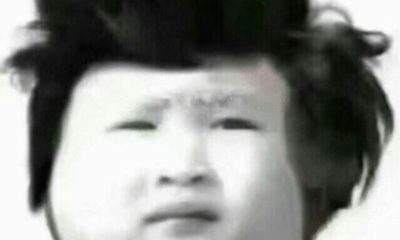 The five best students of every class were each rewarded with 2,5 kilogram (5.5 pounds) of pork meat. At the end of the ceremony, a total of 600 students took home a staggering 1500 kilogram (3306 pounds) of pork meat in total. 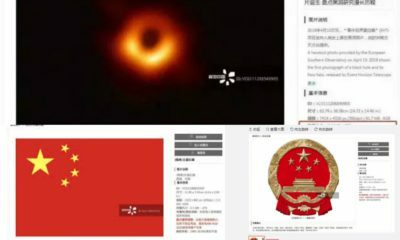 Chinese media outlets Pear Video and We Video posted video reports of the noteworthy event on their channels (link and link) on January 28. 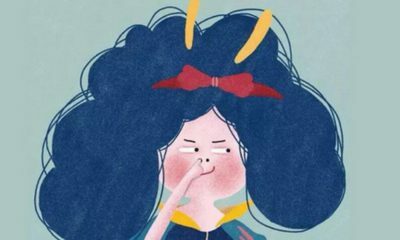 Although the initiative of this particular school came as a surprise to many netizens, more schools across China are introducing these kinds of food gifts to their students lately. 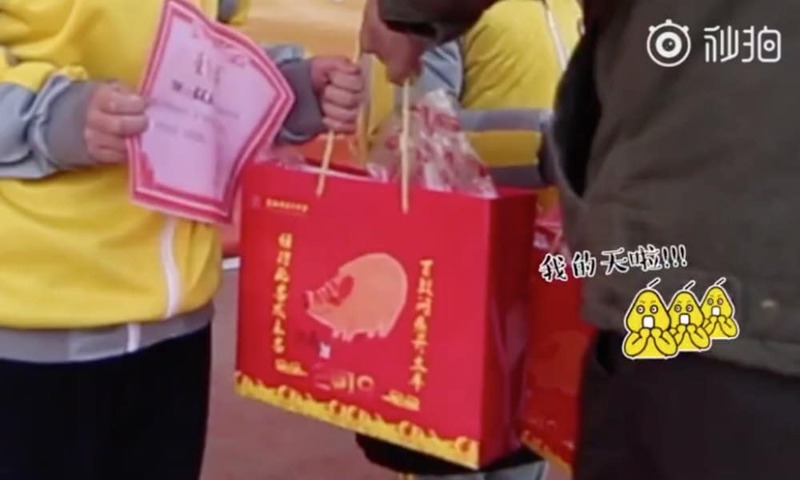 The pork meat, gifted in a bag with a pig on it, was given just in time for the upcoming Chinese Spring Festival, which celebrates the start of the Year of the Pig this year. The Fuyang middle school is not the first school that awards its students by offering them fresh meat products. 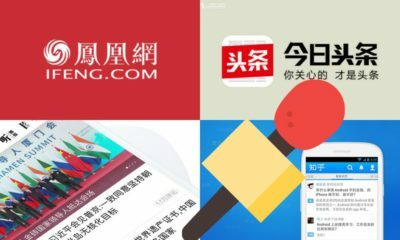 Recently, several stories of Chinese schools awarding their students with meat gifts made their rounds on Chinese social media. 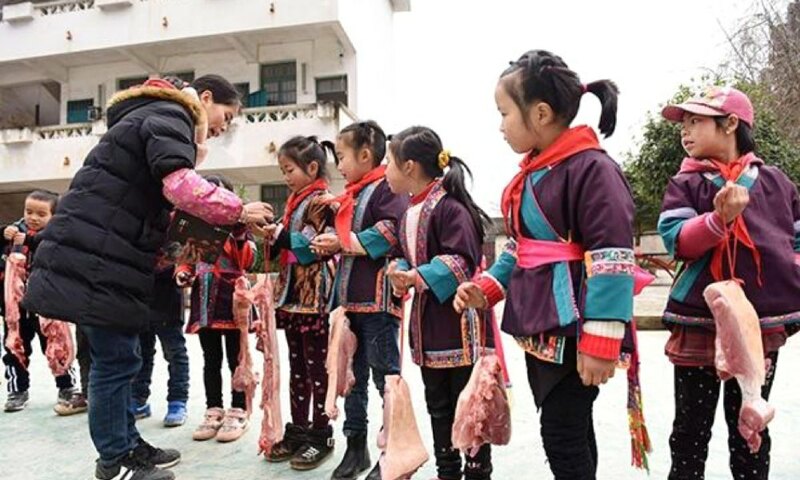 A primary school in Liuzhou, in a mountainous and impoverished area of Guangxi province, received the praise of many netizens when they awarded their 71 most outstanding students with 1,5 kilogram of unwrapped pork meat on a string. It is the second year in a row that the school chose to present its students with a meat gift. At another school in Dongguan, Guangdong province, the 90 most outstanding students were each rewarded with a fresh fish earlier this month. 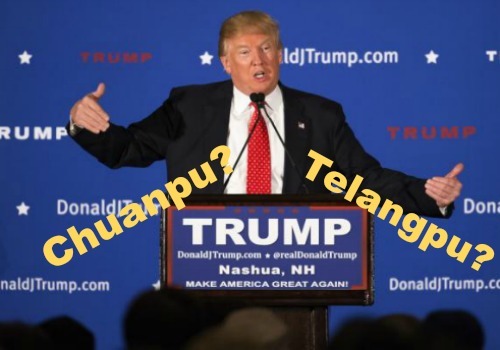 The fish were caught from the Humen Wharton School’s own pond, The Paper reports. 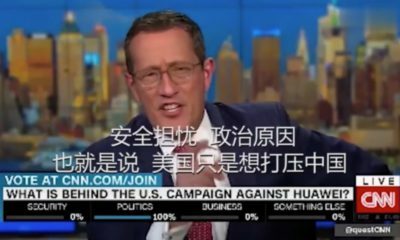 In a recent interview, director Wu (吴) of the Dongguan Humen Wharton School told The Paper that the fish are usually fed with the leftovers from the school canteen. 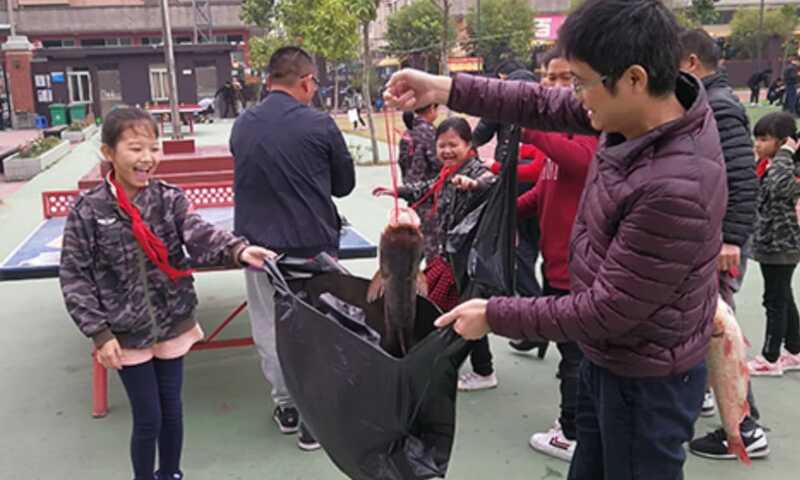 By rewarding the students with these fish, Wu said, the school not only hopes to make the pupils happy, but also hopes to increase their awareness on the ecological environment. 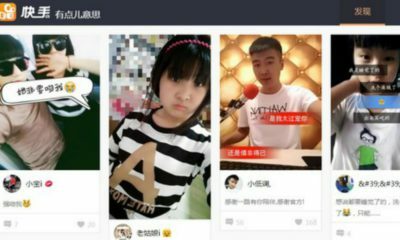 Last year, a school in Fujian’s Nan’an awarded 30 of its highest-scoring students with a pork leg, something that also attracted the attention online at the time. 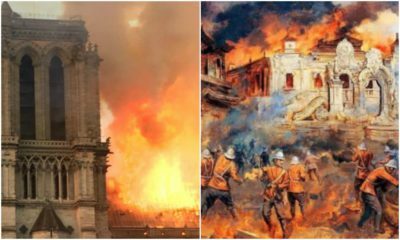 More schools, including one in Shanwei, then followed their example. 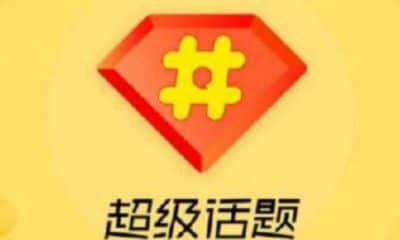 On Weibo, various hashtags relating to the new ‘trend’ are making their rounds. 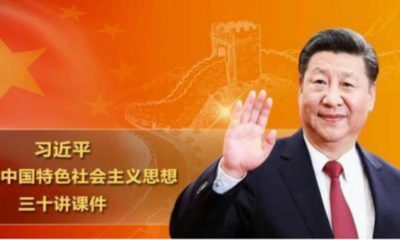 “Middle School Awards Its Students with 1500 Kilogram of Pork Meat” (#中学用3000斤猪肉表彰学生#) received over 5.5 million views this week. 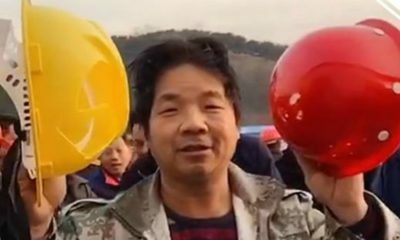 “School in Mountainous Area Awards Students with Pork at the End of the Year” (#山区小学期末发猪肉奖状#) had over 3 million views on Weibo. 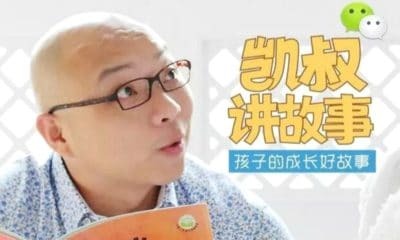 Chinese netizens applaud the schools for giving these food products to reward students, mainly seeing it as a way to boost the children’s confidence. 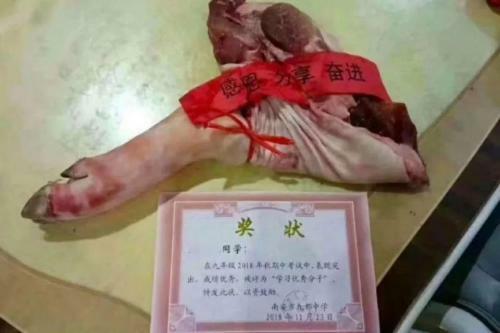 A pork leg and an award (via Chinanews). “This is the reality. When you work hard, you’ll have meat to eat. 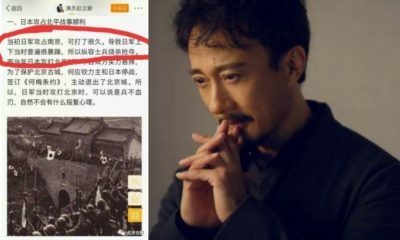 Why weren’t there such good schools around when I was a kid?”, a Weibo user says. It is a tradition in China to hold an award ceremony at the end of the semester. During the ceremony, that is attended by the school’s students, teachers, and sometimes (grand)parents, the best students are praised for their accomplishments. 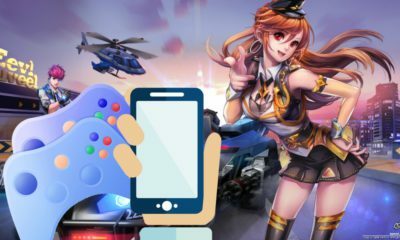 The purpose of the award ceremony and the public praise is to let the excellent students set an example for their fellow classmates, and to motivate the students. 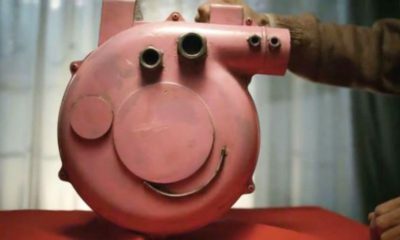 Among the few voices criticizing the idea, there are also those who advocate vegetarianism and think it would be more valuable to teach children the value of living creatures rather than to give them pork.